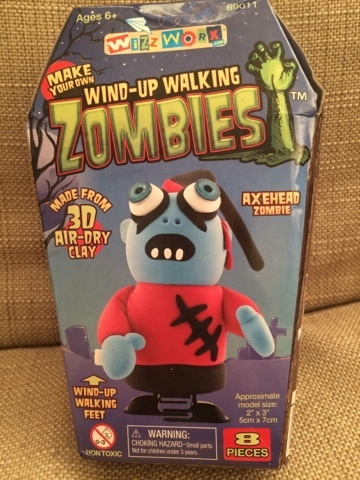 Wind-up Walking Zombies from University Games: The Wind-up Walking Zombies are 3D air-dry clay models with wind up walking feet….they walk just like a real zombie! Four to collect. Ages 8+. RRP £7.99. Available at Amazon and Hamleys. Wow, this clay is brilliant! It's as soft and pliable as other modelling clays so its really simple to sculpt your design. There are instructions on the box as well as further guidelines on an enclosed leaflet. 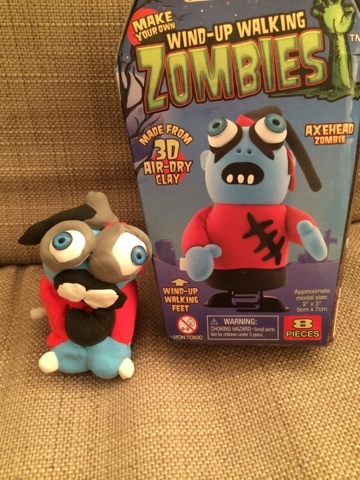 Whilst the age guide is 8 and above on this kit, I did let my craft crazy kids have a go - Blake age 6 was really into this because he loves making things from clay and he's also very much into halloween things! Maegan age 4 really wanted to help out and had a lot of fun making the eyes and the arms. The only part I got to play was to make sure the winder wasn't blocked! The air drying clay takes 24 hours to dry to a squishy foam finish. overall this kit gets a big thumbs up and I'd love to see more air drying wind up model kits! 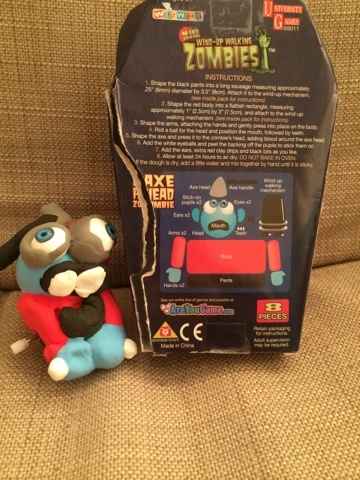 Disclaimer: I received a zombie for the sole purpose of the review, all words, thoughts, photos and link choices are my own.